Brown dress chucka boots from Banana Republic. 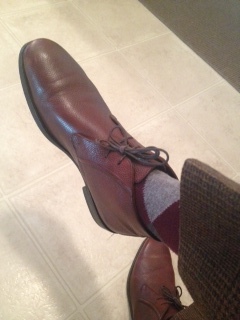 Argyle dress socks by Banana Republic. 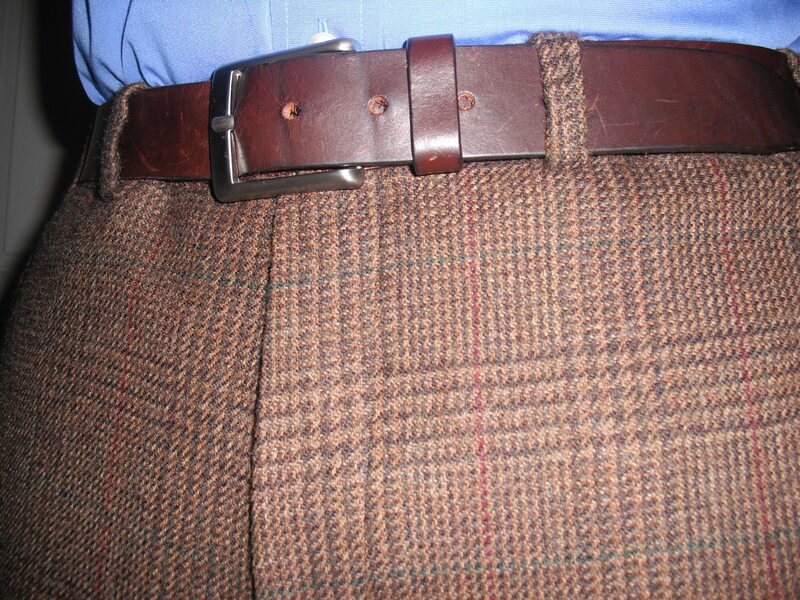 Brown, glen plaid wool trousers by Ralph Lauren. 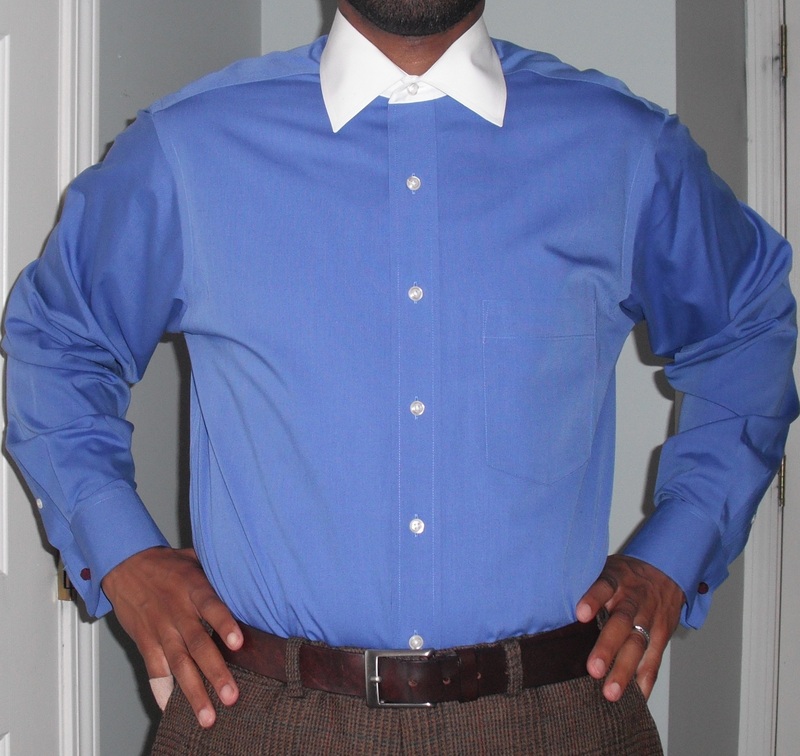 Blue french cuff dress shirt with white spread collar was a thrifting find. 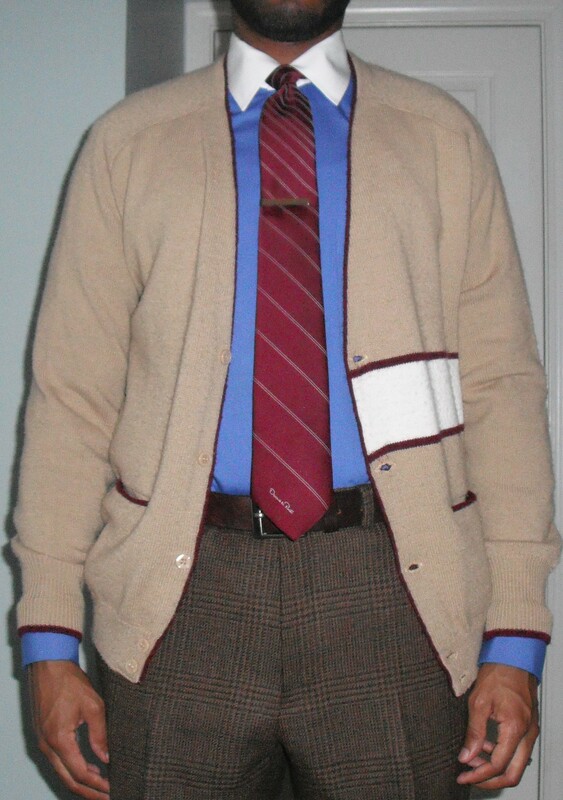 Wine colored striped necktie is an Oscar De La Renta thrifting find. 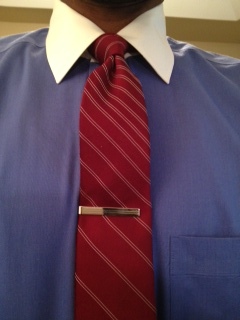 Tie bar is from Banana Republic. 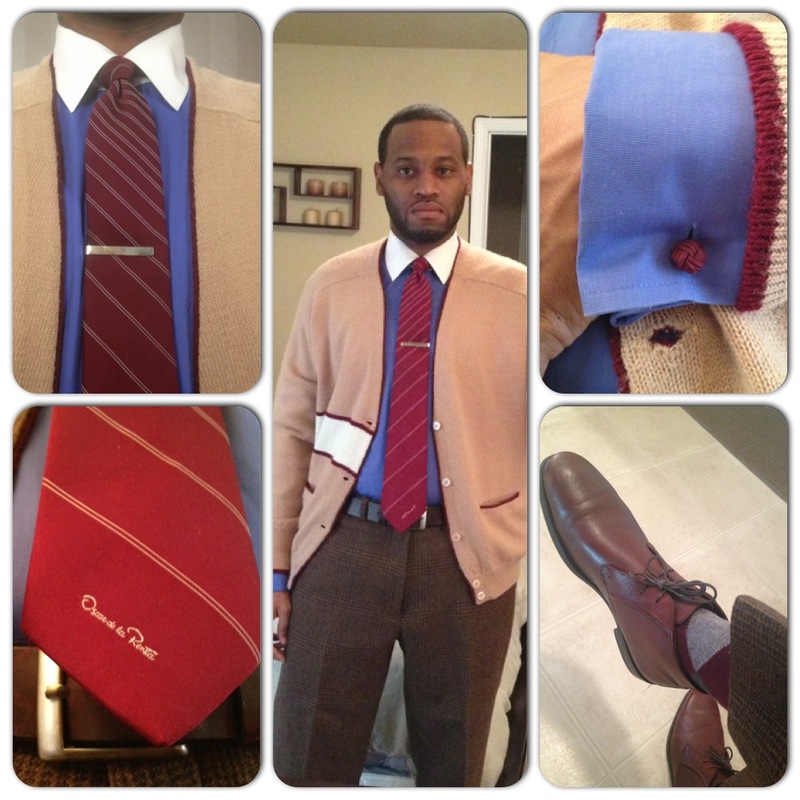 Vintage IZOD cardigan is another thrifting find. 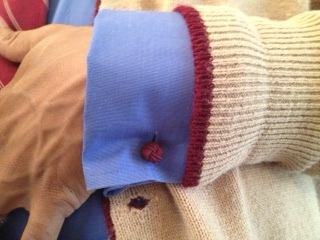 Knitted wine color knot cufflinks are from Brooks Brothers. 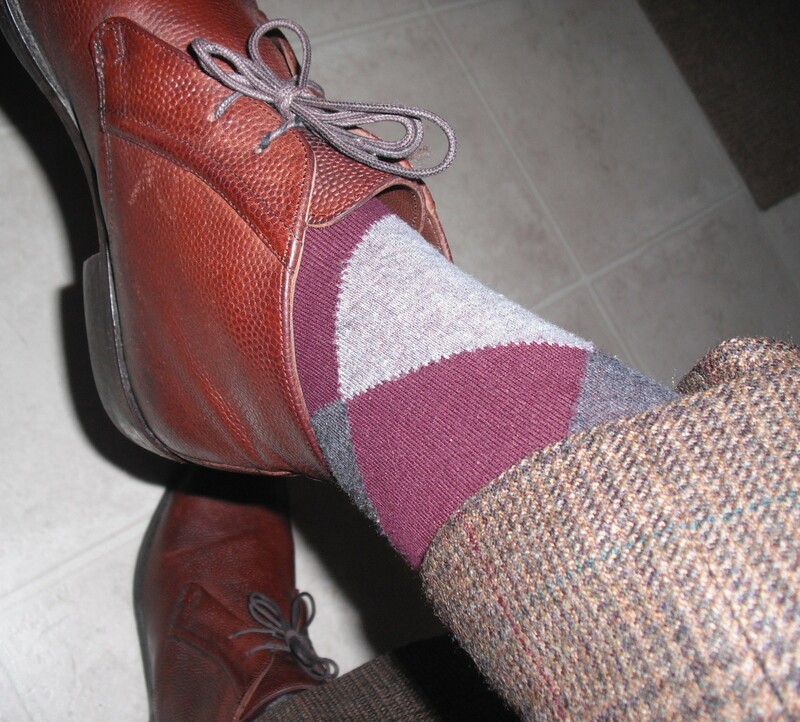 This entry was posted in Uncategorized and tagged Argyle Socks, Banana Republic, Charlotte Style, Esquire, glen plaid pants, GQ, IZOD, IZOD cardigan, Mens fashion, mens style, Menswear, Oscar De La Renta, Ralph Lauren, Wilbur Dow by wilburdow. Bookmark the permalink.